It's a gorgeous day, and what better way to enjoy it than a picnic in the park. Sandwiches from Block's Bagels, my favorite Columbus deli, a new Frisbee, and great company made for a splendid afternoon. 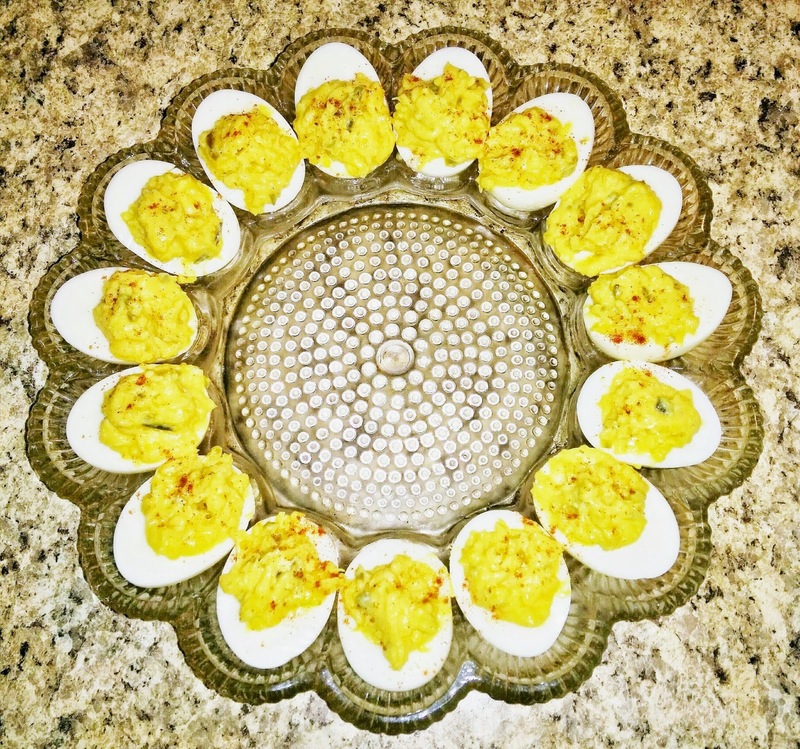 We're having the traditional cookout at a friend's on Monday, and I'll share my devilled egg recipe with you, so check back for an update to this post tomorrow night or Monday morning. 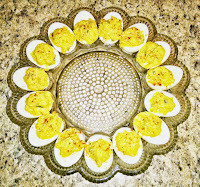 Hardboil eggs, cool thoroughly, then cut each in half and pop yolks out into a bowl. Mash yolks with a fork to a fine, crumbly paste. Add Miracle Whip, relish, and mustard. Spoon into egg white halves. For fancier eggs, use a frosting bag with a large flower tip to pipe in filling. sprinkle with paprika.